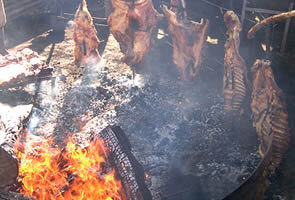 hroughout the year there are many different festivals being held in the little villages surrounding Bariloche which are really worthwhile visiting. 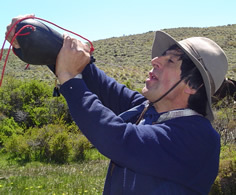 These festivals are usually held in the honor of cherries, apples, beer, feasts of the maté and the 'puestero' (the gaucho which takes care of a part of an estancia), the festival of the Trochita, the antique Patagonia Express train, just to name a few. Otherwise it always is worthwhile to go visit farms when they are shearing the sheep or marking cows before they are released back into the mountains. 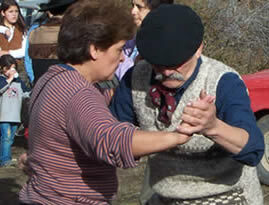 These fiestas and special days always are accompanied by a good Asado and often with music and dance. A great event to participate or even just to take photos. Depending on the distance from towns, sometimes an overnight stay is included.